I’ve been reviewing some of my old Theory of Knowledge (TOK in the International Baccalaureate) curriculum as I prepare for a creativity workshop, and thought I’d share two really successful challenges (I hate the word “assignment”) I gave my students – one at the end of the semester and one at the close of the year, though both could be used at either or both times. This is based on the concept of a “listicle”, made popular by Buzzfeed. Usually listicles are in the form of a bulleted list, but I wanted students to beef it up with some metacognitive annotations and some metaphorical imagery. 4. The best external (not student-produced) VIDEO (TED talk, etc.) we watched. 5. Most INTERESTING concept/ idea / topic/ fact you learned about. 6. The most USEFUL concept / idea/ topic / fact you learned about. I really wanted to stress the importance of social learning, and therefore included the bits about a peer project and a tweet from the class hashtag (we did a lot of backchannelling). In previous years I even asked students to include hyperlinks referencing their peers’ work (it helps if everyone has a blog portfolio). You might not want to ask about external videos – instead you might want to ask about a particular person you studied, field trip, lab, poem or novel excerpt. Feel free to customize for your particular course. Number 8 ended up being extremely valuable to me. My students had amazing ideas and I ended up compiling them into a Google spreadsheet, which I shared with the class. Everyone could see the suggestions and we had a discussion as to which were the most do-able or would be the most beneficial. I implemented some of them the following year. Number 9 is about relevance, and of course about connection to other courses. TOK sort of applied to all disciplines but I would challenge students to think about how their art class connects with math, or how history could connect with science, for example. I discuss more about “knowledge as connection” and making “connection maps” in this post. Number 10 asks students to essentialize the entire course into one image or word and defend their choice. This was by far the most interesting to me, and if I did it again I would require both. Also notice in the directions that students were given the opportunity to work with another student if they wished. Only a few did, and those who did each contributed their own favourites for most of the questions, and simply compiled their answers in the same presentations. For almost every project I offered a variety of suggestions for ways of accomplishing the task. Personally, I hate to have someone dictate the way I should creatively express my thoughts and I carry that through in my lesson design. Here were some of the options, though of course I was open to different, student-suggested tools (if they proposed and defended them). ***you can choose to do voiceovers for any of these as well, if you film them. I’ll post the things to exemplars and tools at the end of this post. 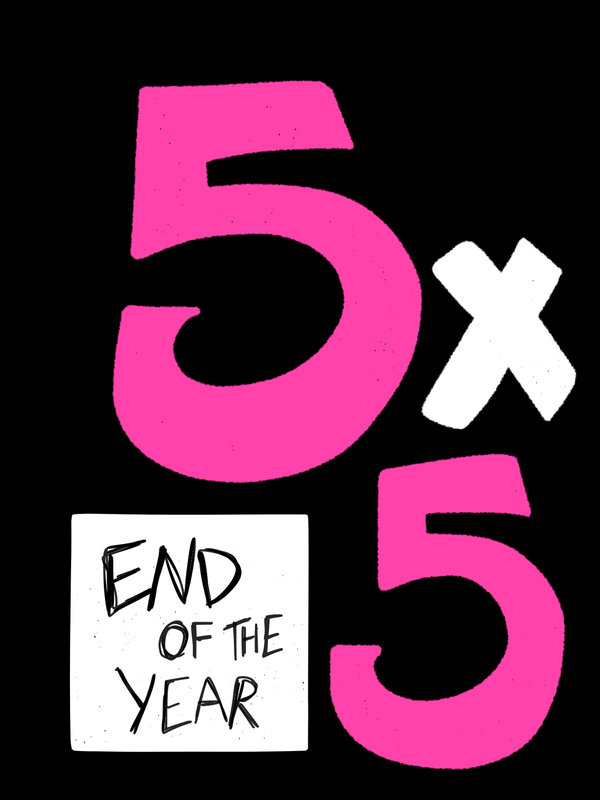 The second “final exam” reflection I proposed was called 5X5 – I wanted the students to boil it down to the basics- what are the 5 most “sticky” pieces of learning? Moreover, students need practice in “micro-content”…so much of what they do is overly lengthy…they need to be able to create some bite-sized-yet-filling media. I’ve had a lot of success with vlog reflections in the past, and I encourage you to join my G+ community on “Vlogging for Assessment and Critical Reflection” and view some examples. Basically, vlogs highlight more emotion – you can really tell a lot from the body language and voice intonations. I asked students to provide specific references and make connections to other courses as well as their personal lives. Since this was a vlog, I asked them to try to do 5 min but to at least keep it in the range of 4-7 minutes (in the past I would have students submitting 20 minute vlogs!). They could do any style (see below under “resources”) but I asked them to keep it in the first person. You could ask students to do a 5X5 using images, paragraphs, quotes, nuggets of learning or concepts, for example. Just so that it’s 5 takeaways in 5 ________. • “Choose Your Own Adventure” on YouTube using the Spotlight tool to have other vids hyperlinked within the video (see links below)http://www.knewton.com/blog/edtech/2010/12/15/how-to- make-an-interactive-lesson-using-youtube/ http://www.youtube.com/watch? v=OCVUXBvq8dE&feature=youtu.be ***If you have a more creative idea, just let me know- I’d love to hear about it! 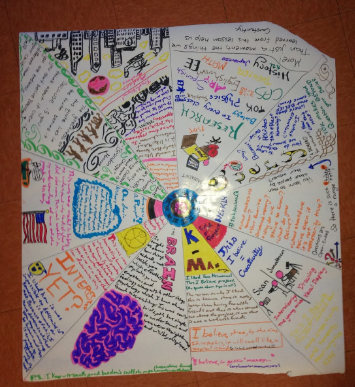 This entry was posted on May 10, 2016 by amyburvall in Uncategorized and tagged amy burvall, assessment, listicle, media, reflection, student work, tok, vlog, vlogging.